Undertaking the process of collecting debts can be tricky to newcomers and generally isn't favorable to start ups. If a thorough history isn't provided many credit processing providers will turn you away. For most Americans, loans, credit cards, lines of credit are the way most families pay for their lifestyles. In fact, overall household debt for an average family spiked by 11% during the last 10 years, according to the 2016 American Household Credit Card Debt Study by Nerd Wallet. The average household with credit card debt has balances totaling $16,883, and the average household with any kind of debt, including mortgages, owes $137,063. With these types of numbers, it is easy for any household to miss a few payments and getting overwhelmed with debt. When people stop paying, unpaid debts are sent to collection agencies, which go after debtors to recover the money for banks and creditors. Unfortunately, many traditional financial institutions don’t look very favorable at collection agencies because they are considered high-risk merchants. Due to the nature of their business and the large volume of chargebacks these businesses accrue, banks often deny them merchant accounts. When a business is turned away and it needs to process credit card payments, it can turn to EMB for a collection agency merchant account. Within 24 and 48 hours, EMB, a credit card processor, can approve merchant accounts for collection agencies. 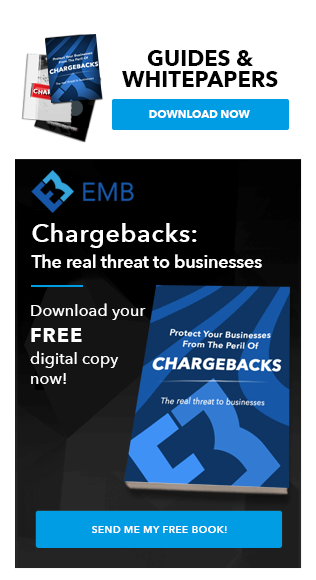 EMB also offers chargeback management tools, payment gateways, and fraud filters. To start on the path to accepting credit card transactions, apply using EMB’s simple, streamlined, online application today. Merchants within the debt collection agencies industry include businesses that pursue payments on debts owed by individuals and businesses. Most agencies operate as agents of creditors while others buy debt portfolios from creditors at large discounts and then, pursue outstanding balances for their own gains. Merchants that don’t see their services listed here and need help processing payments should still submit an online application. High-risk merchants are EMB’s specialty and the firm’s experts will work hard to help bricks-and-mortar and online businesses of all sizes to succeed. Start the process by applying for a collection agency merchant account now. Also, any merchant that operates online must have a fully-functioning, secure website. Though no approval is guaranteed, EMB promises a fast, secure application process. Merchants can be approved in as little as 24 hours. Collection agency merchants must look like legal, reputable businesses when their applications are being reviewed by processors and underwriters. Underwriters assess risk, so they thoroughly view applications for anything that looks suspicious and could in some way financially burden processors. Underwriters want to ensure that merchants are not only operated in states and regions where they are licensed but that they are complying will laws, such as the Fair Debt Collection Practices Act (FDCPA). Also, underwriters want to know that merchants understand their services and follow a good business model. A merchant’s credit scores, credit card processing history, bank statements, its website, and whether a business has ever been terminated by another processor determines risk. Applications also are negatively impacted if a merchant’s site does not have privacy and refund policies or lacks important information. Negative bank account balances, unpaid bills and late payments, and a history of high chargeback rates are also factor that increase a merchant’s risk. To increase chances of an approval, merchants should satisfy outstanding bills and debts, have a substantial sum of money in the bank, and have a stakeholder in the business with the best credit history apply for the merchant account before an application is submitted to an underwriter. Anything that looks or seems questionable should be handled before the underwriter’s review. Since underwriters already know debt collection businesses are risky financial endeavors for processors, it is best if a merchant can show it has capital and operating as a legitimate, reputable company with a stable business model. Merchants who take the time to follow these steps are likely to get approved for accounts without limitations, such as a lower rolling reserve or caps on higher processing volumes. A first impression matters, especially when it comes to obtaining a collection agency merchant account. Any chargeback that is not a result of fraud is considered friendly fraud. However, this fraud is by no means pleasant. Friendly fraud or chargebacks occur when clients make online purchases with their own credit cards, and then, contacts the issuing bank and requests a chargeback after receiving their purchased services. These types of “friendly” chargebacks can be so debtors can get refunds they don’t deserve or they believe they were overcharged for services. Credit card processors and credit card companies, however, don’t care about the reasoning behind the chargebacks. Quite simply, their concerns are that the chargeback ratios stay below 2%. The debt collection industry is vulnerable due to its clientele – people who already have bad credit. Those who already owe a lot of money and likely don’t have much available cash are more inclined to dispute valid credit card charges. This is done to maintain their personal cash levels. Debt collection is a little like the “The Boy Who Cried Wolf.” Debtors complain so much about paying back fund when they really have no excuses for their alarms that when they have legitimate issues, many debt collection agencies don’t want to hear them. Many collections don’t thoroughly listen to or investigate valid claims or are quick to give refunds because they know that everybody hates paying back funds. Despite strict regulations surrounding debt collection, many high-risk credit card processors don’t want to take a chance and approve a collection agency merchant account. Those processors, like EMB, that do keep very close eyes on them. Processors and their underwriters closely watches for signs that merchants are risks to them and their sponsor banks. Excessive chargebacks are the clearest signs that businesses are in trouble or they will be soon. Chargebacks indicate that something is wrong with the business, likely due to a lack of communication, transparency, or customer service or a combination of them all. Many merchants also don’t recognize the importance of chargeback mitigation programs. Therefore, merchants must take whatever steps possible to ensure chargeback rates stay below 2%. This means that a business that has 200 transactions per month and eight chargebacks has a 4% chargeback ratio. When merchants have excessive chargeback rates, credit card processors get hit with financial penalties. They are subject to thousands of dollars in fines from credit card companies, like MasterCard or Visa, whenever a business exceeds a 2% chargeback ratio. When this occurs, the merchants are no longer profitable enough for credit card processors, leading them to terminate high-risk merchant accounts with chargeback ratios of more than 3%. Many merchants presume that if they lose a merchant account, they will just apply for a new one somewhere else. It’s not that easy because that merchant just increased its risk to processors. Getting a second merchant account after the first is shut down is very difficult. Excessive chargebacks and a past terminated account negatively impacts debt collection businesses when they apply for merchant accounts. Electronic receipts and customer satisfaction survey can mean the difference between a happy customer and a chargeback. Many chargebacks are due to customers not remembering or recognizing transactions on their credit card statements. Sending an electronic receipt with the merchant’s contact information, such as an email and billing support phone number, will put the collection agency’s services back in the minds of its clients. Another help strategy is to send a customer satisfaction survey email immediately after the service purchase or some time before customers receive their credit card statements. Unfortunately, the survey results likely won’t be favorable due to the nature of the services. However, it does give a merchant another chance to remind customers about services. Also, it is a good idea to send an email invoice about 48 hours prior to any monthly recurring billing charges. Customer dispute alerts and chargeback mitigation programs, like the one EMB offers, also give merchants a few extra days to determine whether a full refund is appropriate. Issuing a refund can prevent a chargeback. Alerts don’t catch everything, but they certainly catch enough to take a merchant from a 3% or 4% ratio to a 2% chargeback ratio. EMB has partnered with Verifi and its new Cardholder Dispute Resolution Network (CDRN) and Ethoca’s alert system, to provide a superior alert and chargeback prevention system for high-risk merchants, such as collection agencies, that makes it easier to fight chargebacks. The dispute network operates with banks and card issuers, enabling merchants to settle credit card transaction disputes. Up to 25% off a merchant’s chargeback ratio can be trimmed by using an alert system, which allows merchants to be directly involved in the dispute resolution process. Electronic signatures are a quick and easy way to get customers to show they accept services and their terms. A signature forces the client and the debtor to review any necessary paperwork involved in the services. This will ensure that both parties fully understand the services. Also, the formality of signing a document often makes it more difficult for a client to forget the services and request a chargeback. If a customer does try to dispute a credit card transaction, merchants can use e-signatures to prove the client agreed to the services. Collection agencies also should take cues from larger, well-established businesses. When debtors threaten to contact their issuing banks, collection agency staff should be trained to give them full refunds like bigger companies do. This will be much more cost-effective than a chargeback. Also, 24-hour customer service can be instrumental in preventing debtors from disputing credit card transactions. Having a representative available all day and all night often eases clients concerns and adds credibility to merchants. All business establishments are assigned four-digit Standard Industrial Classification (SIC) codes by the United States and other countries, including the United Kingdom. Codes identify the primary purpose of businesses. Federal statistical agencies use six-digit codes known as the Northern American Classification System (NAICS) to classify establishments. Once the data is collected and analyzed, the statistical information about similar types of businesses and the way they impact the economy in the U.S. is published. Start collecting debt from your debtors with a merchant account, tailored for all your collection agency’s electronic payment transactions. Accept checks and debit credit cards over the phone or the Internet regardless of credit of you’re a start up. eMerchantBroker.com is the #1 provider of merchant accounts for the collection agency industry. 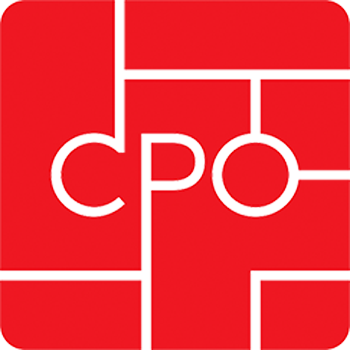 We are the preferred processor for Collections Max, and industry leading Collections Software. We have helped thousands of collection agencies, large and small, get the payment processing solutions they needed to grow their business. At eMerchantBroker we like to say “Yes”! Debt collection agencies are all about getting their clients’ payments so not having credit processing capability can stop your agency before it even gets started. Apply today for a new merchant account from eMerchantBroker. Our team is experienced at finding merchant accounts that are friendly to debt collection agencies. We don’t require extensive credit history, and we can get your account set up in as little as 48 hours. Apply today! Get approved for a collection agency merchant account in as little as 24 hours! Get Started Now or call 1-800-621-4893.